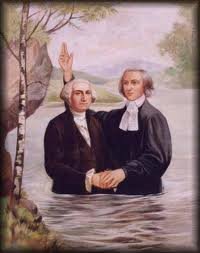 It has been stated that George Washington, the father of our country was baptized by immersion. The following photo hangs in Gano Chapel of William Jewell College in Liberty, Missouri. It pictures George Washington being immersed by the preacher John Gano (1736-1804). 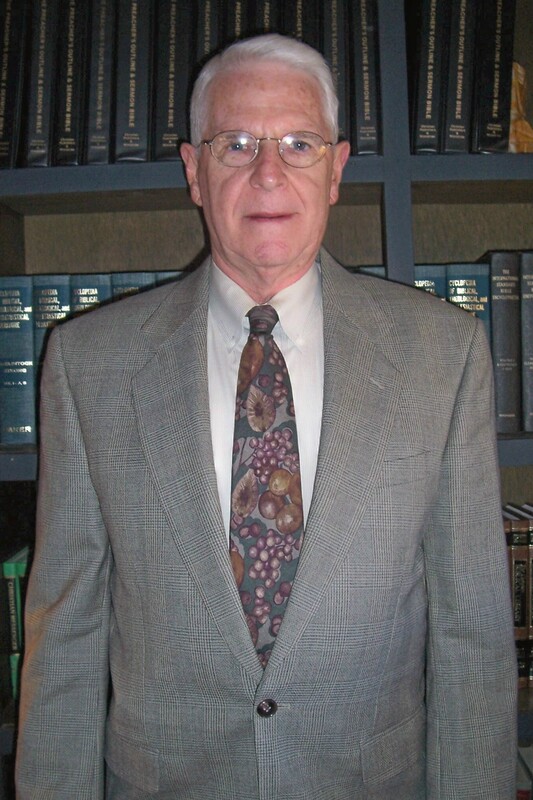 There are only three aspects of baptism: (1) The subject of baptism; (2) The action of bap¬tism; and (3) The purpose of baptism. When Paul gave an account of his own baptism, he related that the preacher Ananias commanded him, “And now what are you waiting for? Get up, be baptized and wash your sins away, calling on his name” (Acts 22.16). If Paul was saved before his baptism, then he was saved while still in his sins. But Jesus said baptism was to be saved from sin. Jesus declared in his final words, “Go into all the word and proclaim the gospel to the whole creation. Whoever believes and is baptized will be saved, but whoever does not believe will be condemned” (Mark 16:15-16 ESV). This is plain–belief plus baptism equals salvation. Belief minus baptism equals condemnation. Were it not for the traditions and doctrines of men (Matthew 15:7-9), more believers would obey the Lord in baptism. Paul was not saved before his baptism. Paul was a strict, zealous persecutor of the church and he thought he was doing the right thing. But he was lost without Christ. But when he did what Christ commanded him to do by the preaching of the gospel, he was saved like everyone else then and like all are today. Baptism is a likeness to the death, burial and resurrection of Christ. Paul declares in Romans 6:3-4: “Or do you not know that as many of us as were baptized into Christ Jesus were baptized into His death? Therefore we were buried with Him through baptism into death, that just as Christ was raised from the dead by the glory of the Father, even so we also should walk in newness of life” NKJV. 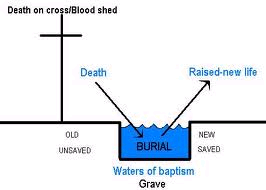 This chart illustrates that in water baptism for the forgiveness of sins, the sinner dies to a life of sin, buries the dead sinner and is resurrected a forgiven child of God to live a new life. A good example is the Christians at Corinth, Greece. The apostle Paul founded this congregation and then stayed with them for a year and a half. At first there was much persecution, but the Lord told Paul that He potentially had many people in this city. The Bible declares, that “many of the Corinthians hearing, believed and were baptized (Acts 18:8). Now it was necessary to change their old manner of life and begin living a new life for the Lord. The Bible says, “Therefore, if anyone is in Christ, he is a new creation; old things have passed away; behold, all things have become new” (2 Corinthians 5:17). There is only one way to get into Christ and that is to be baptized into Christ (Galatians 3:26-27). Faith is unto (Romans 10:10), repentance is unto (Acts 11:18), confession of faith is unto (Romans 10:10), but water baptism for forgiveness of sin is always into! In the judgment of most Americans, George Washington was our best President. He like all of us was not perfect, for all have sinned and come short of God’s glory (Romans 3:23), and “there is none righteous, no, not one” (Romans 3:10). But thank God the founding father of our country was wise enough in the scriptures to obey the Lord in baptism!